Washington DC - While Morocco has made all the right moves to avoid a military clash with the Polisario militia near the Mauritanian borders, it fell short of communicating to the UN the true nature of the conflict and magnitude of the Algerian military’s role in perpetuating the hostilities in the Western Sahara. The fragility of peace in North West Africa is probably the worst it has been since Morocco and Algeria tried to patch-up their differences in 1989. 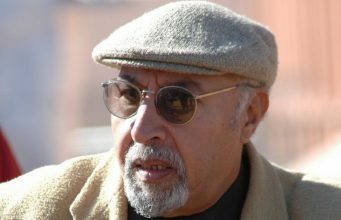 Washington DC – While Morocco has made all the right moves to avoid a military clash with the Polisario militia near the Mauritanian borders, it fell short of communicating to the UN the true nature of the conflict and magnitude of the Algerian military’s role in perpetuating the hostilities in the Western Sahara. The fragility of peace in North West Africa is probably the worst it has been since Morocco and Algeria tried to patch-up their differences in 1989. 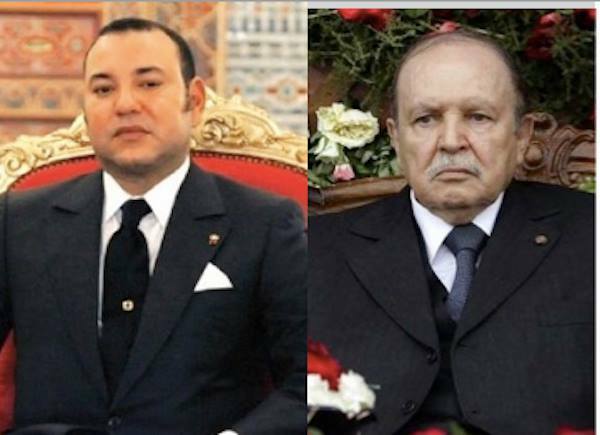 While all indications corroborate that neither Rabat nor Algiers aims for an armed conflict, a future, albeit unlikely, rekindling of hostilities in the Western Sahara will certainly turn into an open war between Morocco and Algeria. Diplomats and military analysts consider the recent events in the Guerguerat region ,the “no man’s land” of the Western Sahara, as the biggest threat to the UN brokered peace agreement of 1991. As Mauritania keeps it distance from Morocco and ignore the deteriorating security situation on its Northern borders and the Polisario continues to wrestle with a restless civilian population in its refugee camps in Algeria, the fear of an unintended resumption of fighting is present and real. 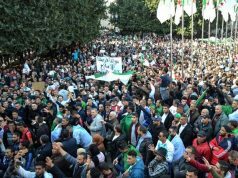 Adding to this mix of uncertainty and ambiguity is the hazy political and security situations in Algeria. 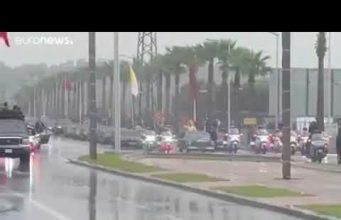 The speculation over the ailing Algerian President Abdelaziz Bouteflika’s incapacity to govern has generated a cloud of mystery and anxiety over the identity of those who indeed rule the country. 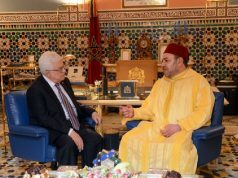 While there is no rush to confront Morocco, the infighting and positioning to ready for a post-Bouteflika ear may push some degenerated Algerian clan to use “a Polisario incitement” to create a distraction. 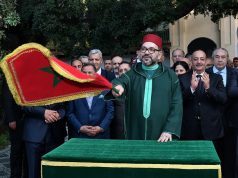 Morocco’s recent readmission to the African Union (AU) and Algeria’s unstable political state of affairs have created a sense of defeat in Algiers. 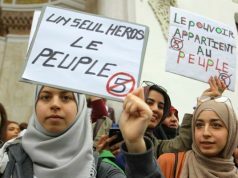 For the first time since its independence, the Algerian press seems harshly critical of the current government and putting the blame for Algeria’s economic and social ailments squarely on the old guard and not on a ‘Moroccan plot”. The military establishment’s old trick of accusing “foreign hands” of plotting against Algeria as a justification for the ruling FLN party’s repeated failure seems not to work anymore. In fact, this new reality could push the armed forces to look for disruptions outside its borders involving a new war of attrition by proxy against Morocco. 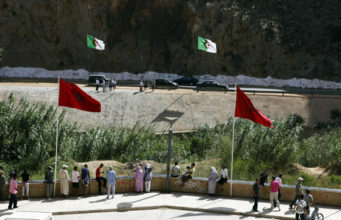 On August 14 of last year, Algeria’s vice minister of defense and chief of staff of the armed forces, General Ahmed Gaid Salah, declared during a military exercise in the border city of Oran, around 100 miles from the Moroccan borders, that the Algerian army is ready to defend the nation against “known enemies.” Given the nature of the training and the type of military equipment and units used, Morocco was the intended “target”. However, this time around a renewal of hostilities in the Western Sahara will be much greater and expansive than ever before. 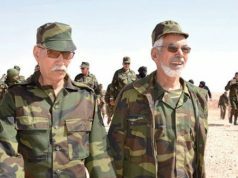 For the Moroccans, a provocation by the Polisario would undoubtedly push the Royal armed forces to pursue the Polisario fighters into Algerian territory. 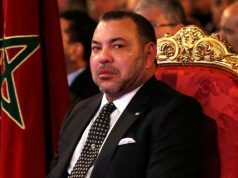 Rabat has made it clear in articles recently published by pro-government websites that the Kingdom would use the right of hot pursuit to hunt down aggressors who provoke its forces in the Sahara. 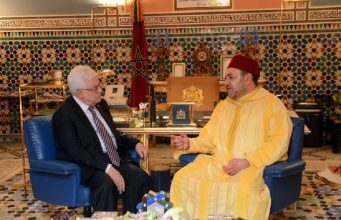 This latest flare-up is yet another sign that the on-going dispute between Morocco and Algeria is a United Nations (UN) and a European Union (EU) problem. Neither organization can afford to let squabbles between a two neighbors so close to Europe erupt into a full blown war. The consequences of such folly will be grave on the security, prosperity and safety of the European continent. As military tensions cool down in the region of Guerguerat, The UN and the EU should take this opportunity to review Algeria’s role in this very dangerous conflict. If Morocco’s unilateral withdrawal of the “UN buffer zone” may have diffused the tensions, the ingredients of a return to armed conflict in the region remain potent and active.